From I-95/495 in MD: Exit 11A, go through 2 traffic lights, then get in the right hand lane. Just before the third traffic light bear off to the right and then turn right on the light at Dower House Road. Take the first right after approximately 3/4 miles into the Pearl Harbor commercial delivery/24 hour RV arrival gate. After inspection and clearing the entry gate, travel straight (west) to the dead end at E.Perimeter Rd, then turn left and follow E. Perimeter Rd to the south end of the base 2.2 miles (you will pass the runway, base lake and golf course) to Wheeling Rd, on the left. Signs are small, but turn left on Wheeling Rd, pull up to the parking area out front near the Registration Board. Registration board will have a map to the campground and a registration package with the patron's name and site number listed. Take the registration package to your site and after you are finished setting up return to the office with your completed registration form and payment. Reservations are required for all sites. Only the overflow is first-come. 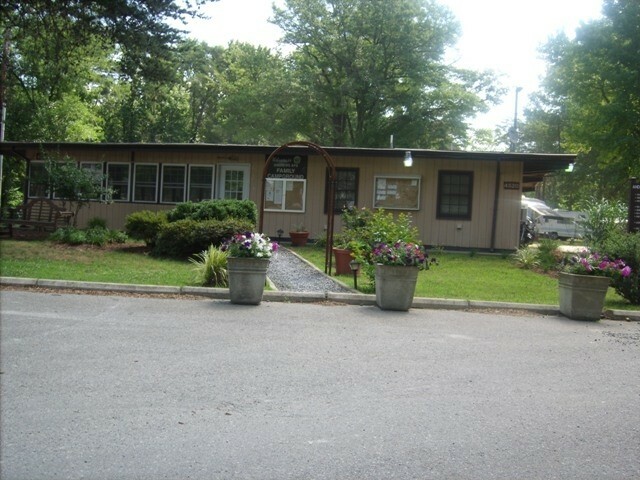 Reservations can be made by calling the FAMCAMP Office at (301) 981-3279. (Reservations are required) Active Duty: 6 months in advance; Retired: 4 months in advance; Reservist: 2 months advance. Summer Season (1 April through 31 October): Reservations limited to 2 weeks. All other times are limited to 4 weeks. Winter Season: (31 October through 1 April) Reservations require credit card payment for the first night. Cancellation must be done within 72 hours to receive a refund. Allowed with usual leash and clean-up rules. There is a doggie play area. 30 day stay limit, may be extended another 30 days based on availability. Old electric service, gravel roads, fairly large sites. Closest Famcamp to the National Capital area. 4 miles to the Branch Ave Metro stop. STRICT enforcement of checking firearms into the base armory. Police radioed the armory that we were coming to check-in a firearm. We were given 30 minutes to find the armory and check the firearm in. I just called for reservations, as I often do, during the July timeframe but, the nice Manager lady said they are closed for construction to upgrade the sites until further notice. Her recommendation was to call back, starting in April, every two weeks or so until they get everything up and going. Instead, I made a call to Ft Meade for our reservation with no problem. My experience at this park last summer (2018) was such that half the park was under upgrade construction, while the other half was open. Just wanted to let everyone know, just in case have your options ready. This is my 3rd year staying at Andrews Fam Camp for the Winter, I have been pleased for the price for what they have. This year someone decided to raise the rate from 600 a month to 900 a month. Its not worth that much. The internet doesn't reach to the campers, no cable, only 30 AMP hook ups for now. 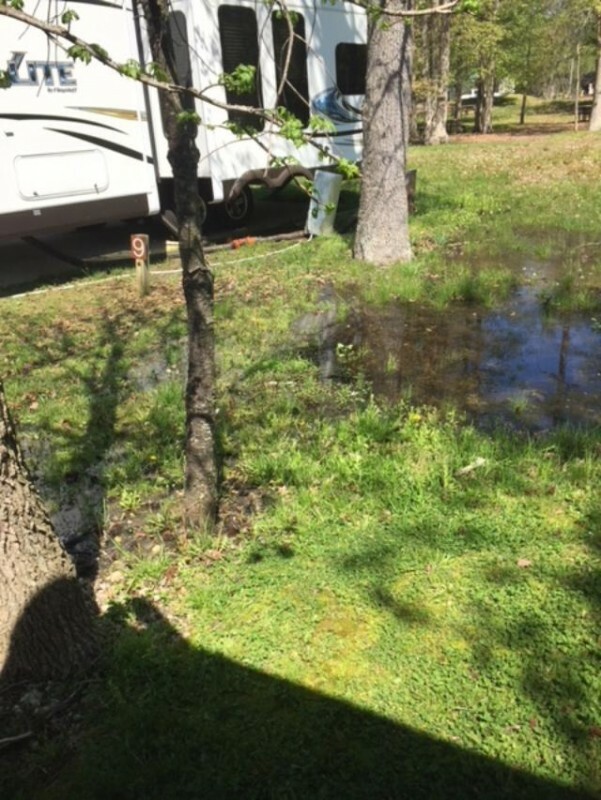 When it gets 32 degrees or below the water has to be disconnected from the camper, the bathrooms are rough looking, I do think they are clean. The positive thing there is they have concrete pads. 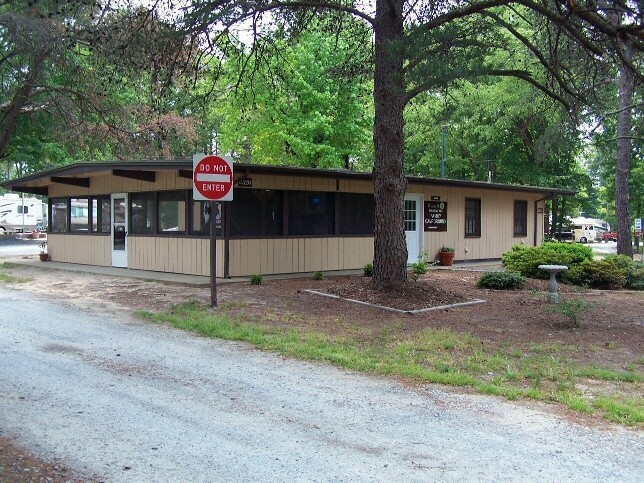 There is a camp ground 15 minutes away from the base that the water can stay connected, has cable, bathrooms are much better,the internet is much better, and has a pool. They are 950 a month. The only good thing is the location for visiting DC and concrete pads. Very easy to take the Metro into DC. this could be a nice fam camp, but is suffering from deferred maintenance. There are a lot of areas roped off with yellow police tape, that looks like it has been there for years. It is really run down, unmowed, standing water, potholes and LOTS of rules and signs posted everywhere. Two signs in the tiny bathroom stalls instructing you to check after flushing, just to make sure. Lots of signs about what not to do. It is very unwelcoming, it's like they really don't want you here. weird vibe. We have been here a week and will be here another week. So if this review changes, I will update it. The campsite is conveniently located to DC. The sites are concrete pads and the road around campsite is gravel. The showers and bathrooms are very clean, but are also very outdated and old. They need a good overhaul, as it seems it is the original everything. 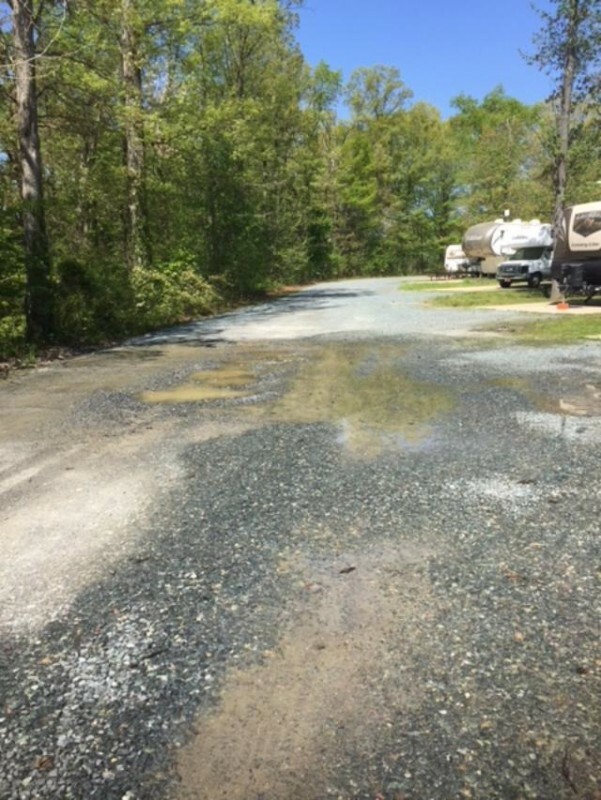 Our campsite, and the gravel road in front of us, had a muddy mess most of the time, due to some sort of leak, according to the campground host, Denise. You will note from the pictures and there hasn't been any rain the week we've been here. Speaking of Denise: She is very matter of fact and to the point which is greatly appreciated! Another reviewer wrote she was trying to kick them out when instead of stating the fact: She was giving a reminder of check out time. She has also been quite helpful with information and I've seen her outside everyday we were there. Come to find out, she also keeps the bathrooms clean; probably why they are so well kept. She was mowing around the bathrooms with a PUSH mower and also weed eating while we were there! The whole place needed mowed and this lady was trying to do it all by herself! There is a busy road outside the gate and cars can be heard when the door is open with screen shut or late at night when the AC isn't on. While the campsite needs some updates and maintenance is beyond Denise's abilities, it's a great buy for $20 a night and I'd certainly stay here again! I guess this place was upgraded since the last photos were posted because the sites are all paved now that was a pleasant surprise. We didn't see any camp hosts during our stay except for when were getting ready to leave she came out and said if we weren't gone my noon we would get charged for another day. That's fair I guess at least she came by for a visit even if it was to kick us out. lol The showers were ok, the pressure was good and the water was hot. The men's bathroom was relatively clean but could use an upgrade. The location and price for DC is outstanding. Overall 5 stars. Great value. What the Andrews Famcamp lacks in facilities and updates, Denise makes up for in outstanding service and helpfulness. She's great. A renovation is in progress and I hope it proceeds quickly. 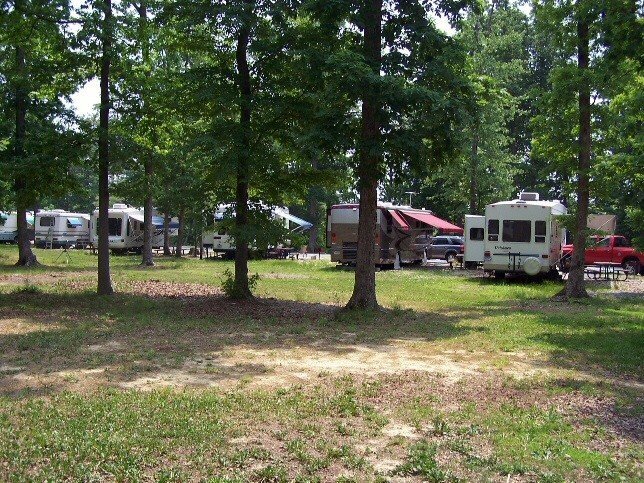 This campground could be a money maker for the Airforce. Best value in DC for military campers. Tidbit for getting around, taxis can pickup and deliver from your campsite. Uber must stop at Virginia gate. Wish Uber was allowed on base like taxis. Not possible to make reservations because they won't answer the phone or check their voice mail. Right after I posted this I got a call from them and was able to make a reservation. So I posted another review. 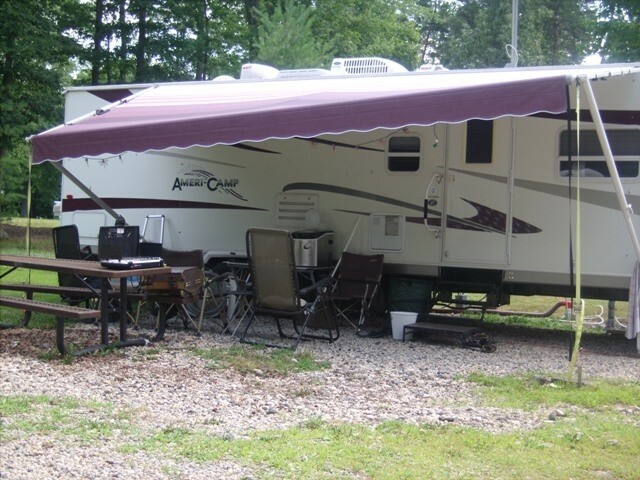 Denise and Andrew are the kind of employees you need to run a RV campground, because they treat you in a very caring way. They have an information board about information in the area. For example they provide you information on where you can purchase the cheapest propane gas. I think that is very important to RV's people. I highly recommend any RV camper to stay at Famcamp, because the location is great to Washington, DC and the surrounding area, and Denise and Andrew will treat you the way you would like to be treat. Thanks Ronald C.
An embarrassment to the Presidential Flagship Base. It is run down and unkempt. They are suppose to be upgrading the park as it is old. 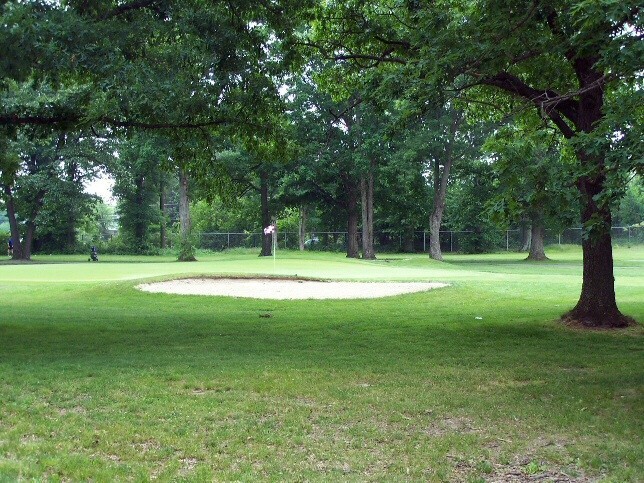 However, there is nothing being done except roped off areas, un-mowed areas and a very shabby appearance. The 30 amp service is so weak that we could only run one thing at a time. If a/c, then no hot water. Couldn't use microwave or convection oven at all. It was 94 and I didn't want to turn off a/c for that. But had to bite the bullet to take a shower. The woman in the office is full of attitude - in my opinion. She accused me of telling her I had a shorter unit than I do and would not let me tell her otherwise. I would not say we are shorter than what we are - that would not be to our benefit in any way. Her tone is condescending and rude. We will not be back. It is a shame too because it is a great location for visiting DC. The only thing that is nice here is the location. Easy to get into and out of DC. The rest of the site is pretty run down with about half of the sites closed for some reason. The employees are very rude and abrasive and believe the amenities are there for them. Manager told us we could not change the channel in the day room area because the TV was there for management. The main thing is you are getting what you pay for at this site. You would think this park being on Andrews would mean the base would care about the appearance and upkeep. That doesn't seem to be true. We stayed here Jun 2017 and the place looks like the base wants to shut it down rather than improve it. The park is in the process of being upgraded to 50 amp service however in the 16 days we were there no one worked on this and half the park is unusable because of the construction. I asked Denise when the estimated date of completion was and she stated the project did not figure in a new transformer for the upgraded power needs and so all construction has stopped and she doesn't know when it will start again, so half the park is unusable until who knows when. The club house has a pool table, fuze ball table, air hockey, and ping pong, however no one is allowed to use any of this equipment. Denise said management removed all of the rackets, balls, and sticks because parents wouldn't control/supervise their children and the kids were damaging the equipment. 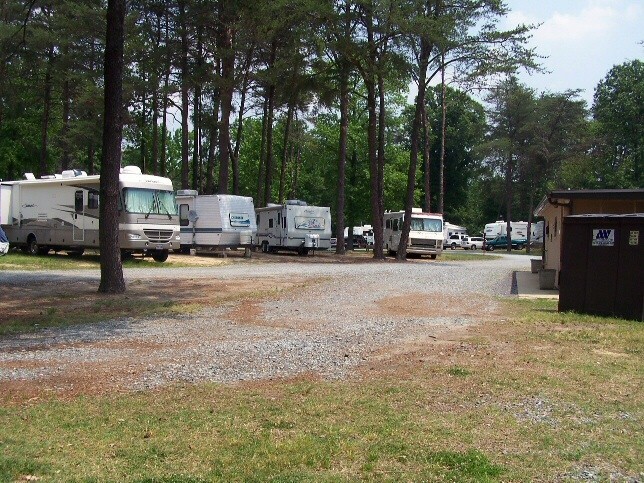 That said this could be a beautiful RV park, but it seems like the base management wants to let it run down to the point of closure. We are here in May 2017 and the park is sorely in need of upkeep and maintenance; grass and weeds are knee high, tree limbs laying on the ground around the sites, lawn debris left in piles. The facility is old, run down, and in need of a real face lift. The sites are packed together leaving about 6-8 foot between campers and 30a service. On the bright side it is inexpensive and near the Green line metro station at Branch Ave. After looking at older reviews, it would seem that maintenance and repair of this Fam Camp is a very low priority. After reading the Jan review, I would guess there as been no maintance this year. Unpaved roads are still full of pot holes, trees and branches down and the weed are growing. 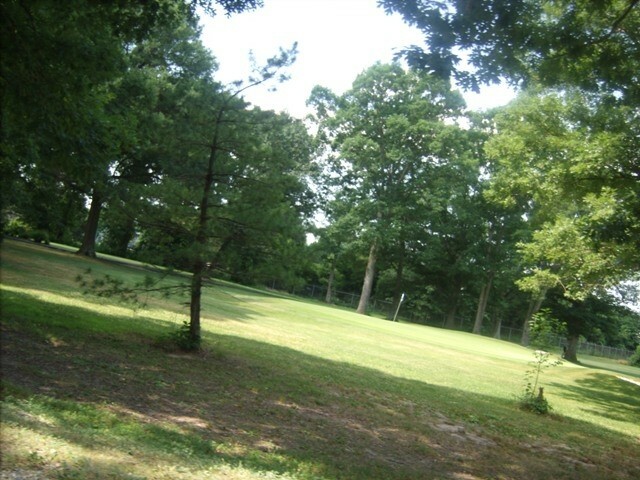 The park is Surrounded by the golf coarse so I'm sure it a nuisance to them. I was challenged by a man who said his was park host about walking my dog in the park. He wanted to be sure I was a quest? He was gone two days later so I didn't follow up. That being said. Parking is on level concrete pads and the Metro was only 4 miles and with parking. 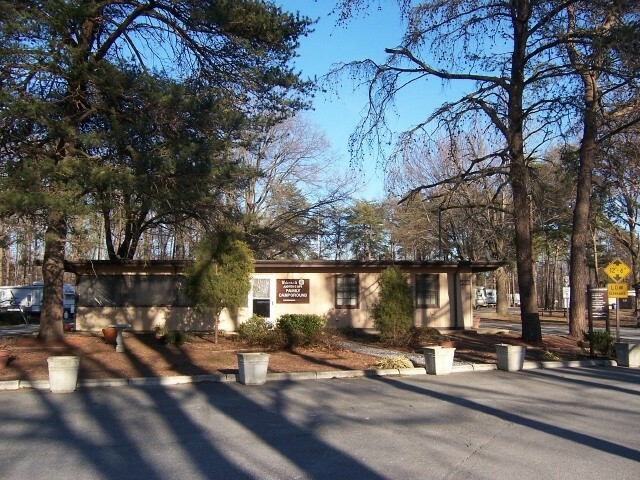 We where for the D.C. Sites and it was a good location at a good price. With only 30amps I wouldn't recommend late summer visits. This was our first RV campsite stay ever with our new (to us) travel trailer. We made reservations online and arrived after the office closed on Monday, but all of our check-in information was posted on a board at the office ready for our arrival. Services at our full hook up site all worked perfectly. The road through the camp ground was full of pot holes and slightly muddy due to recent weather. Bathroom facilities were clean, heated, and their only downfall was the floor finishing peeling off the tiles. We used the site as a place to stay while visiting family in the city, so we were gone from the campground from 0900-1800 each day. 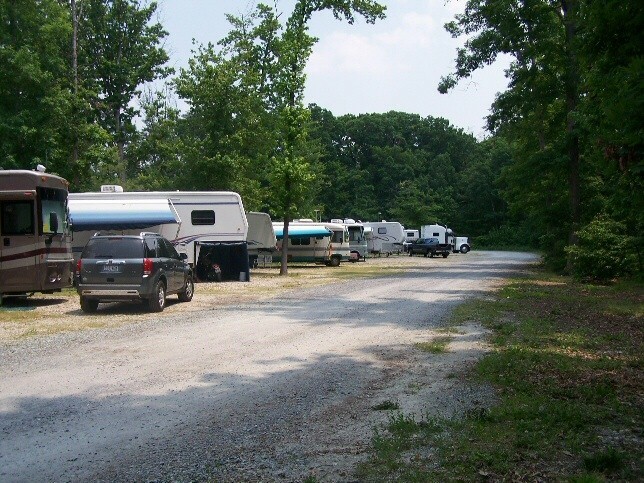 The ease of access to Suitland Parkway made the location very desirable for us, but you can hear a good bit of road noise while in the campground. The low price for staying in the D.C. area made it a great value for our use. Nice base, well worth the visit, lovely wooded setting. Campground laid out well, back in sites. 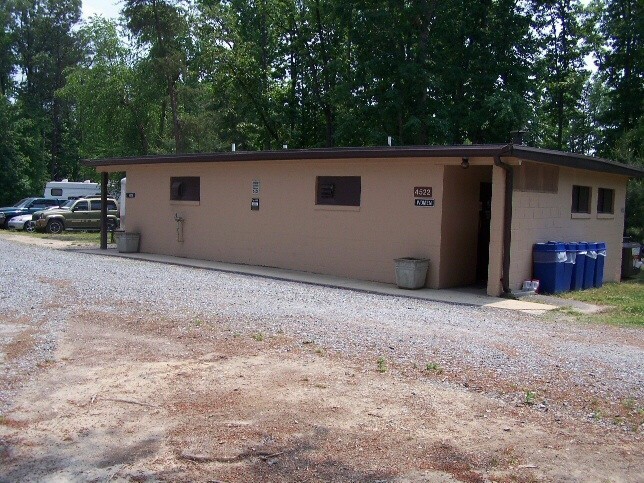 Outer loop has fhu, inner loop is electrical only, tents, and bathhouse. Located right inside the east golf course. Office staff gets three stars. On one hand Denise was very informative about visiting the city, ask her about borrowing metro cards ($2. each and needed to ride the metro) I assume from previous RV'ers but spotty about enforcing the HOA's of the campground, letting long termers slide in appearance but upset about three buckets of kindling that we had near our rv door. 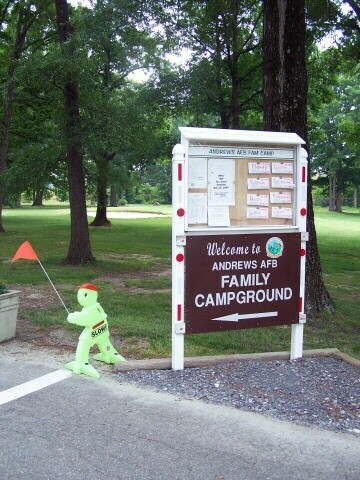 Don't pass on DC attractions, drive in and out was busy but do-able for larger rigs, this is a nice campground. We would stay again. 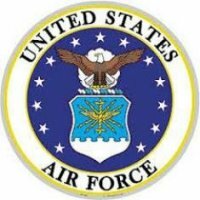 Pass on by Joint Base Andrews... You would think with it's importance, location (proximity to Washington DC) and value to the military community at-large in the area this would a be a superb, prime and logistically a top RV campground for thru travel, visiting DC and the surrounding area (military, historical and vacationing) in general. As someone who lives (16 years and 20 minutes) nearby this "campground" it's said to say it is one of the worse if the worst I've ever seen. No CATV, internet and very limited Wi-Fi. Must use dump station that's barely accessible, and also deal with 90-95% homesteaders. The road leading to it is bumpy (potholes), the road inside CG is gravel/dirt and the sites are tight. You may have at any time share water with other campers. Baths/showers are dirty and need upgrading. Camp managers and hosts are not friendly or helpful. DON'T BUY fuel on post. It is 10-15 cent higher than off post. Your best bet is Quantico MCB or Fort Belvoir, Virginia, Fort Meade Maryland. On the good side: Commissary, BX and other services on base are great. This was our 4th time staying at Andrews. This time was by far the best experience with both Andrew and Denise being very helpful and accommodating. Denise invited us to participate in a pot-luck lunch during our stay and was a great treat. We took advantage of the base gym. Even though President Obama did play golf during our stay we were not locked down and were able to exit the base, just not via Virginia gate. Looking forward to our next stay in August. We enjoyed our stay at this base. Great location to visit the DC area. President Obama golfs on this base very often and if your here when he golfs the whole base is on lockdown including the RV park since hole 17 is next to the base. All campers are forced out of their RVs and brought to an area secret service can watch you, you can't make any sudden movements or even breath to hard. If you go to the commisary to get ice cream, you better eat the whole thing in your car cause your not going anywhere for 4-6 hours till Obama finishes his game. There overly strict. The lady at the office was very friendly and helpful to me but was very rude to my wife and kids, this park does not like kids. There's a game room with many games but my 10 year old son was not allowed to play fooseball, air hockey or pool...very bizarre. The roads on base are terrible, very uneven, many pot holes and even off the base there's construction all over DC. Not much good to say. I got a full hook-up but was unable to use the water due to the camp host coming by and disconnecting it whenever the temperature would get near 32 degrees. I was not allowed to use a heated hose or heat tape. When I could use the water I would have to run it for up to an hour for it to run clear. If you stay here, DO NOT drink the water!! If you use the washing facilities do not do your whites...the water will turn them a light brown color. Also the dryer will never get your clothes dry the first time so you will have to spend the extra $1.50. You can't hang your clothes out either, there's a rule against it, there are LOTS of rules. There is a road right outside the gate so be prepared to be woken up at about 4:30AM when the big dump-trucks start heading to work...It is LOUD! Although there are concrete pads, the semi-gravel road in the park is mostly mud.